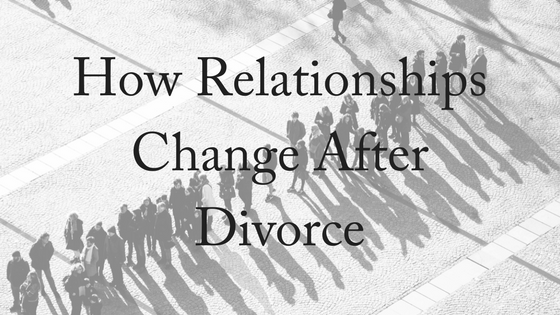 Unfortunately, it is often the case that relationships change after divorce – not just between you and your ex, but with friends and family. Your in-laws and mutual circle of friends will all be affected, and it’s only natural that these relationships change after divorce. While you may be glad not to have to see in the in-laws anymore, it can be hard to lose those who were once close to you. Before you know it, you may have a completely different friendship group and family members on whom you were dependant may no longer be present in your life. The change may be easy or fairly difficult; whatever the circumstances, the new structure will take some adjustment. A woman who believed she was close with her sister-in-law and mother-in-law through the years of her marriage believed she had it all. She met up weekly for girl’s nights and felt welcomed and accepted by her new family. After 8 years of marriage, she and her partner believed it was best to split. However, they wished to part on good terms, and she wanted nothing more than to remain friends with her partner’s family. However, as soon as the split occurred, her ex-mother-in-law turned into a different person, treating her completely differently. She made rude comments to the children about their mother and even her sister-in-law did not seem committed to their relationship. As awful as it sounds, this scenario is not uncommon. When a couple splits, the family tends to choose sides. In another circumstance, a woman’s ex went to all their mutual friends and told them lies, trying to manipulate them into choosing sides as well. The woman soon found herself without friends and no support to help her through her divorce. However, this is not uncommon. It’s very difficult for mutual friends to continue being friends with both spouses who have split. 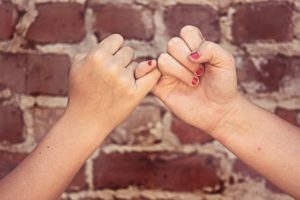 People naturally seem to choose sides, and this is one way in which relationships change after divorce. To look at the situation positively, those who have experienced the loss of friends or family support state that the divorce helped them know who their true friends and family were. Children are mostly affected when a couple divorces. Children do not necessarily ever have a say in how they wish for their new life to be structured or whether they wanted their parents to split. They also have no say in if their parents decide to re-marry or begin dating, even though studies have shown children usually wish for their parents to repair their relationship. Children take the changes very seriously and they need to deal with the news as a loss, as the way their family functions has changed. However, a child begins to experience trauma when multiple expectations are placed upon them. They may be expected to manage new partners, new plans, a new house, new living area or school and new friendship groups. While you yourself may experience changes in finances and relationships with family and friends, your child also experiences this and can be affected. The structure they’re used to is no longer being provided. You may be prepared for these changes but a child does not necessarily understand these circumstances and has had no time to prepare or prevent these adjusted circumstances. It is important that you consider the needs of your child as you make these decisions. Your relationships with your family may adjust after you divorce, and you may not wish to remain in contact with your ex-partner’s family. Once you re-marry, you will have new in laws and your children may have multiple families. Families usually find it easy if each partner remains in contact with their own families during separation. When the child visits their father, they will see their father’s family and so forth. You may have to be flexible for events like birthday parties or graduations, and it is beneficial for your children if you can remain civil for the sake of the child. If you re-marry, you will receive a new set of family and so will your child. 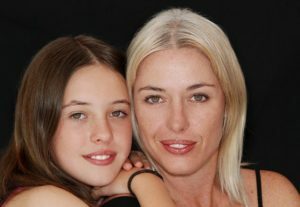 Some families may be happy to interact with your child, but again the adjustment period can be enormous. Your child may accept new family members with open arms or remain stubbornly closed on the topic. As relationships change after divorce, it’s important to recognise that every member of the family will deal with these changes in their own time and way. Divorce affects many aspects of your life, including family, friends and children. However, prioritising your children and committing to remaining civil to your ex-partner is potentially the easiest way for everyone in the family to process and accept the divorce. It is not anticipated to be an easy adjustment but surrounding yourself with the correct people will help. For experienced, compassionate legal advice about all aspects of family law, contact us today. We offer a free, 10-minute phone consultation.